This is one of my favorite things that comes out at Christmas. 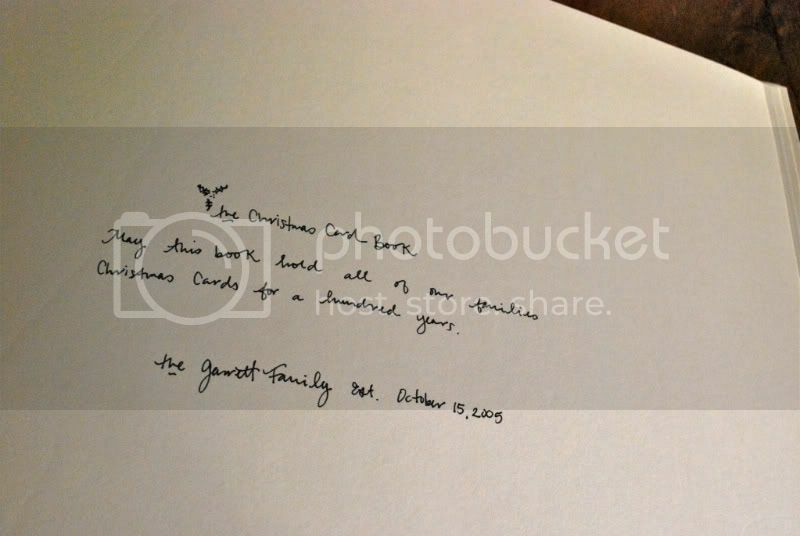 Now there are only 5 pages filled but my wish would be that it is filled by our growing family over the years. Towards the end of the book we might even have grey hair with little grand babies on our knees. sigh. Such a great idea. I might have to steal it (when I actually start sending Christmas cards...). I love that idea! Those are beautiful! best idea ever! thanks dear! your posts make me all warm inside :) LOL! sounds funny, but true! I have a cute giveaway today, stop by! I love this idea and I have saved every card we have sent with a stamp and return address. I am going to start a book this year. Thank you for a wonderful idea! Are you working on your current card in the Art Barn right now?? I LOVE LOVE your Christmas Book.. It's so simple and special. Wishing you an extra bright season! This is so lovely. A simple thing that bursts with love! Ok...this is beyond wonderful. I will definitely have to make one for my family...I love the sentiment behind it! Okay, done. I'm adopting this brilliant idea for the McArdle fam! I am with Simply Mel. This is a lovely idea! The truth is I cringe at the thought of sending out photo christmas cards, but this idea puts a new twist on it. Thanks for the inspiration! What a great idea! 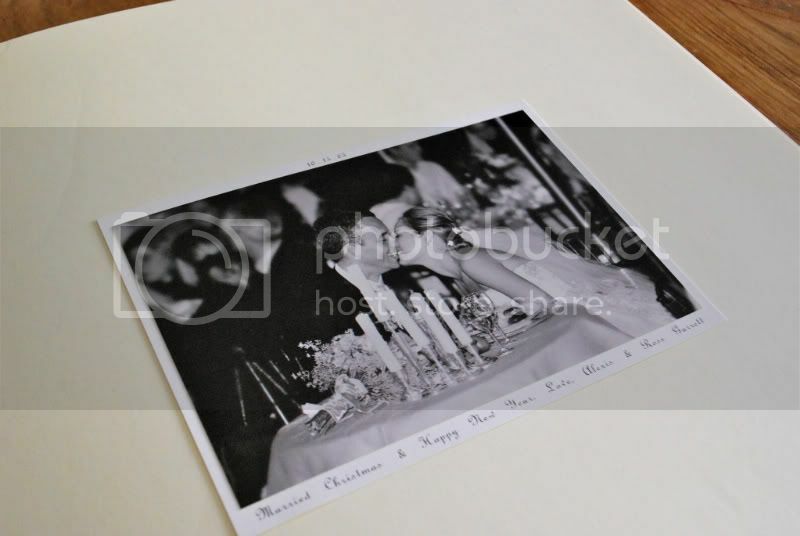 I especially love the black and white wedding photo - that truly is a beautiful and priceless moment to have captured on film and sent out at the holidays! Happy Holidays! P.S. That is the most amazing picture of you and Ross. I have a book like this too! 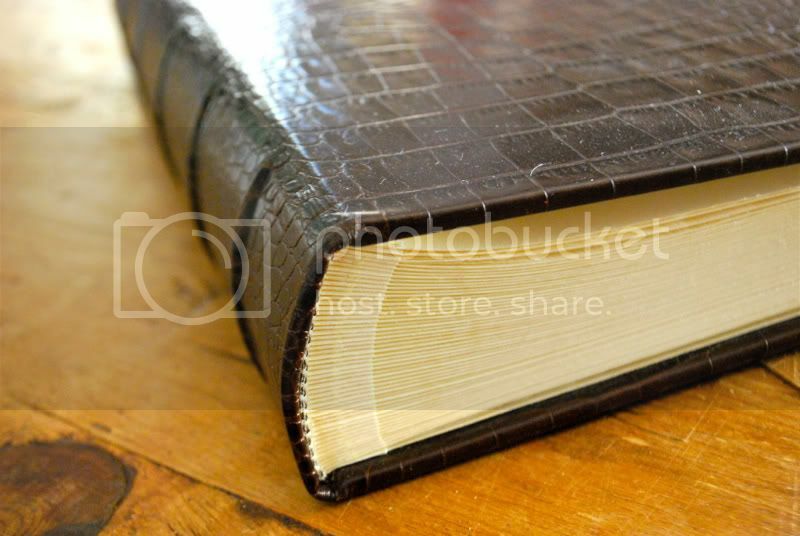 It is a lovely photo album that my sister gave us when we got married. We will put our 7th card in it this year. this is brilliant! we may need to start this idea now. 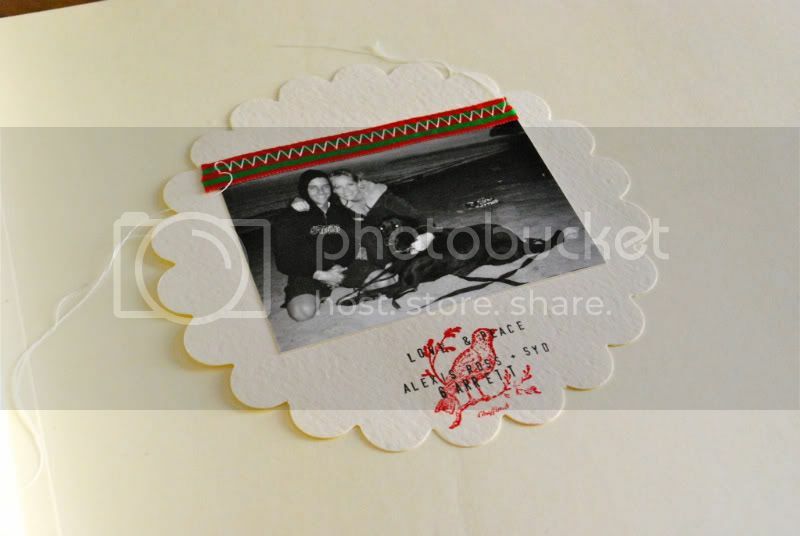 my mama has one too, but her cards are not nearly as darling as yours! cannot wait to have one soon too, next year will be our first year sending cards as a little family of 2 and I cant wait!